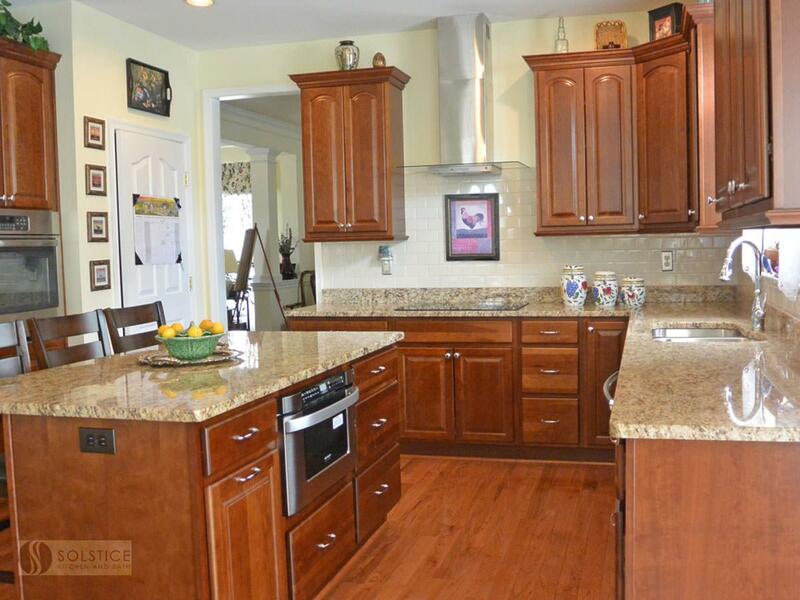 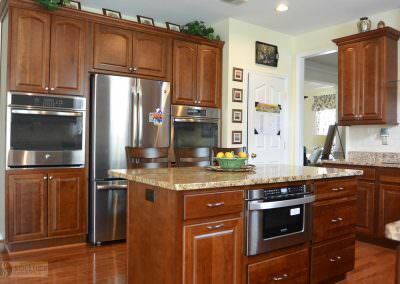 This Bowie, MD traditional kitchen design offers a welcoming setting for family life with HomeCrest by MasterBrand Cabinetry at the heart of the design. The Heritage Arch cherry cabinets in a Cinnamon finish bring warmth to the kitchen, complemented by Richelieu hardware. 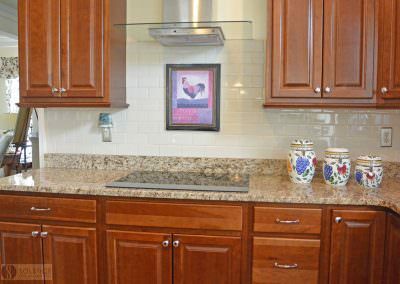 This is offset by Giallo Ornamental granite with a 4″ splash along with a DalTile classic Rittenhouse subway tile backsplash in Almond. 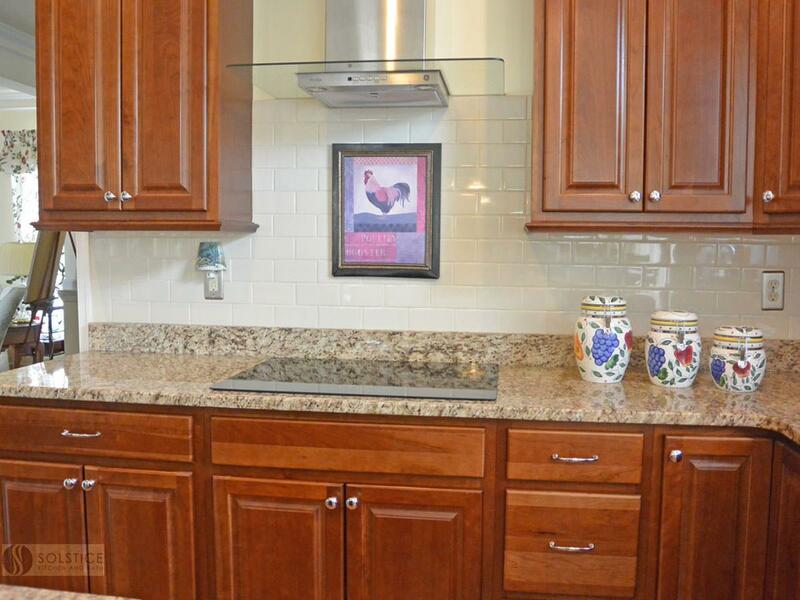 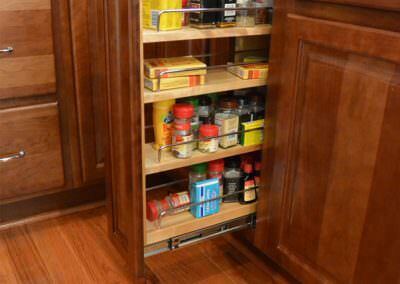 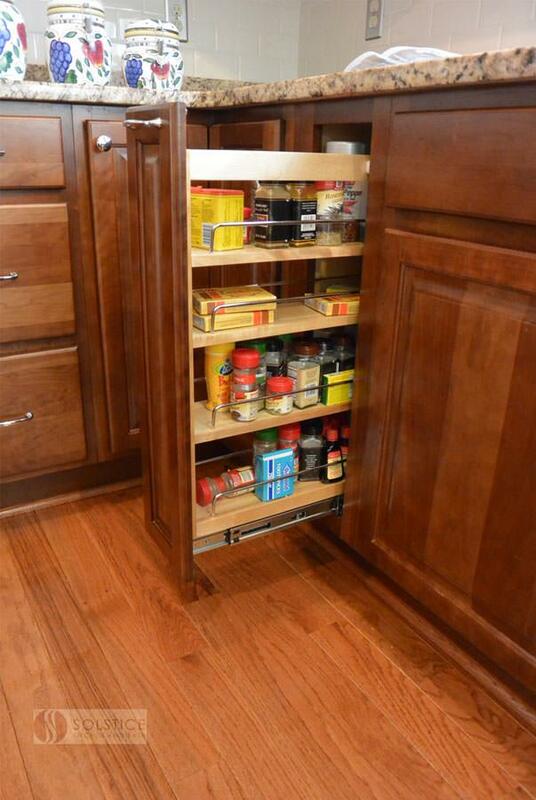 The cabinetry includes customized storage accessories, like the pull out spice rack. 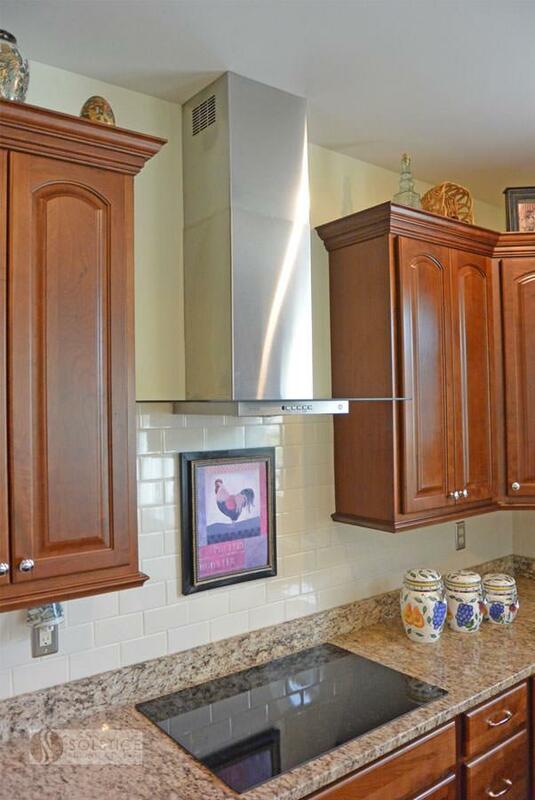 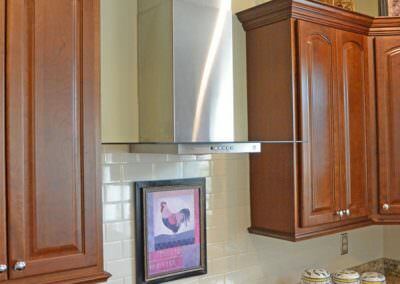 Stainless accents feature through the kitchen, including the chimney hood, Sharp undercounter microwave, two wall ovens, and an Allora USA double bowl sink plus Moen “Brantford” pull out spray faucet. 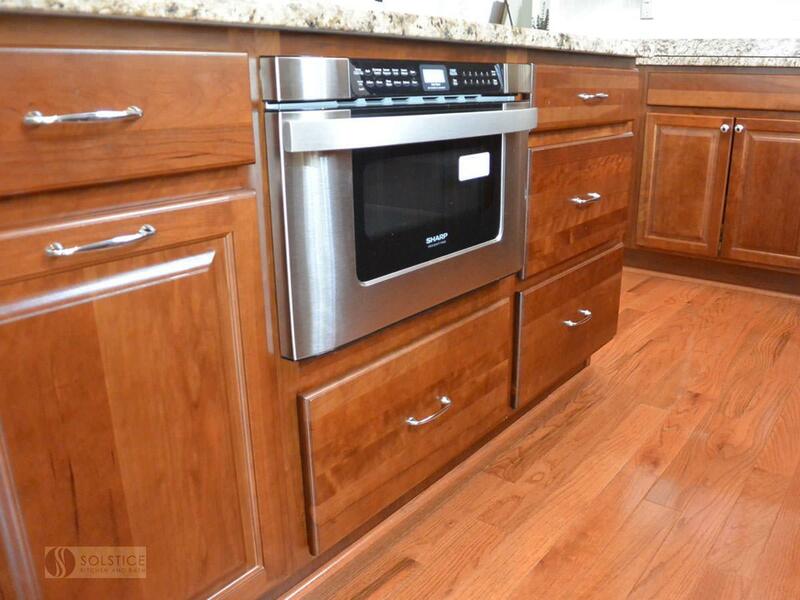 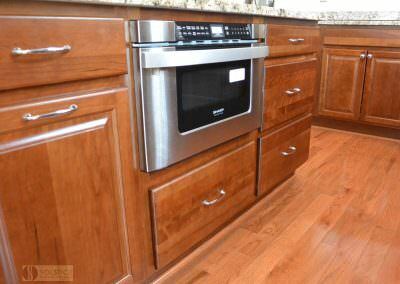 Bruce Gunstock hardwood flooring adds natural charm to the design and pulls together the warm wood color scheme.